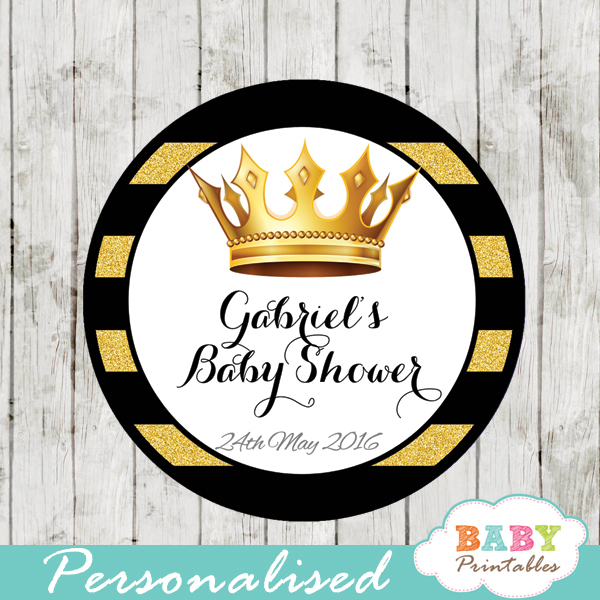 Printable black and gold Royal themed African American prince baby shower book request cards. 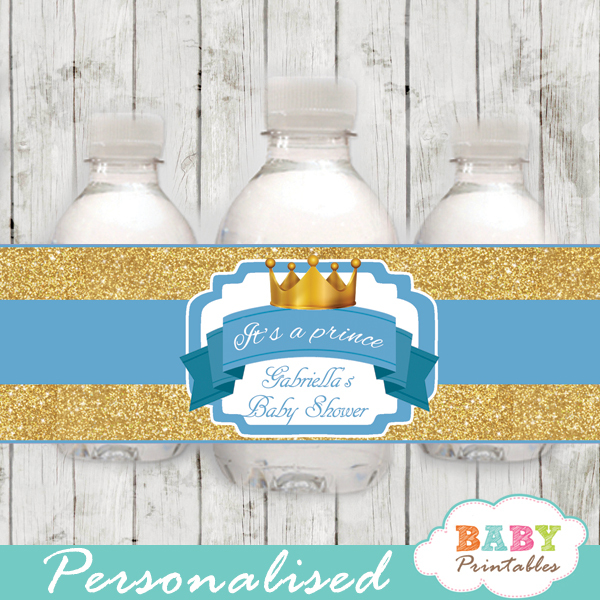 The prince themed invitation inserts feature the cutest baby wearing a crown against a black and faux gold glitter striped backdrop. 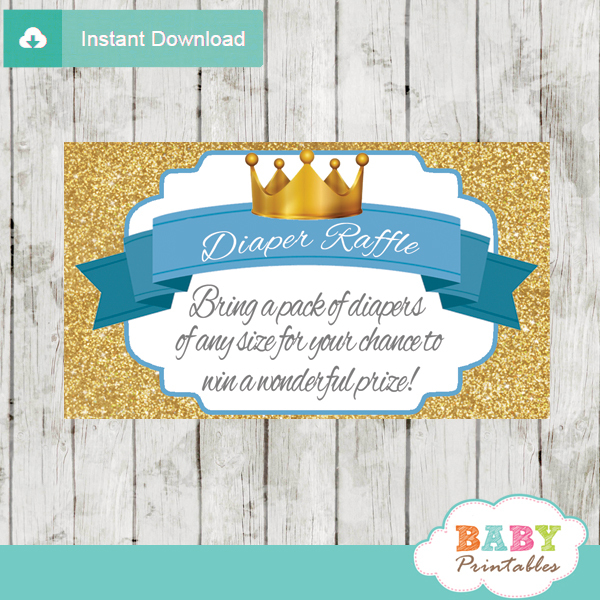 six 4″ x 3″ diaper raffle cards per sheet. 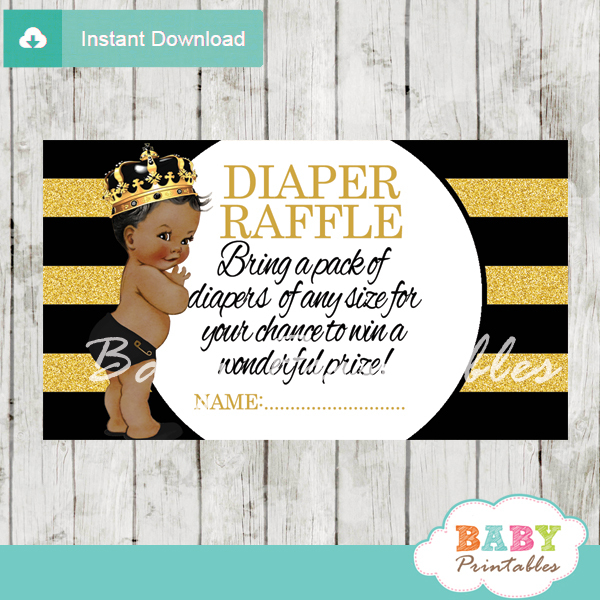 Upon downloading your file(s), print (at home or via a local/online print shop) on card stock paper and cut each card out.